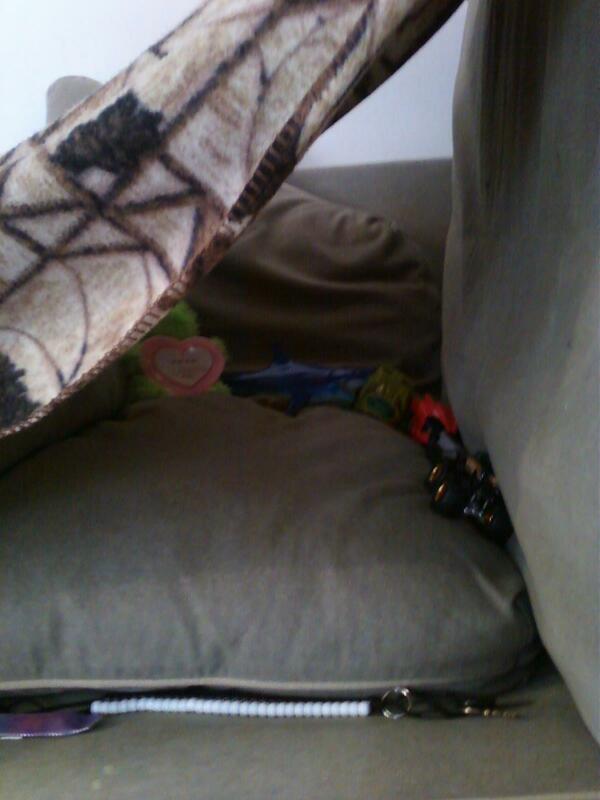 The kids have taken apart both couches and created their own forts with “bedrooms”. Look at how sweet this is! 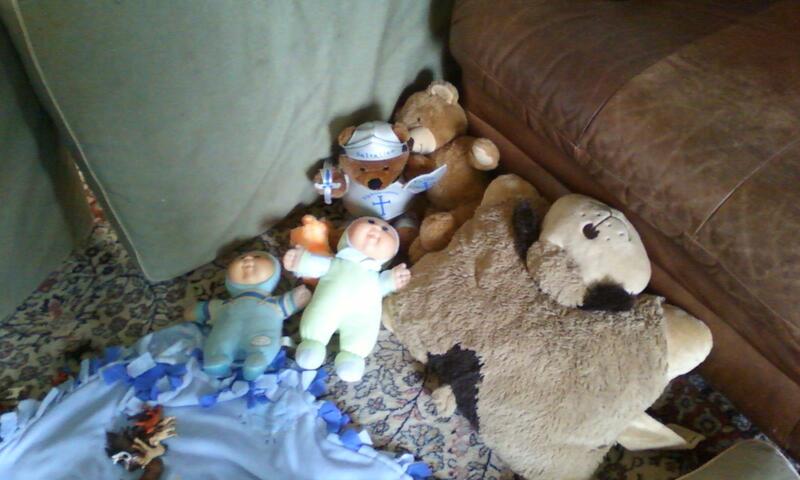 They have cushion walls and baby blankets for the beds. 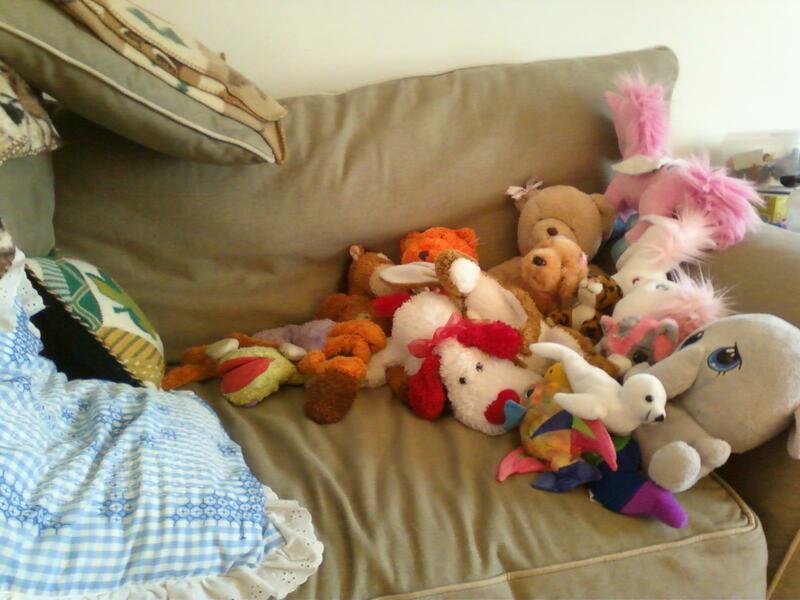 Pillow pets and stuffed animals and special friends are all there. 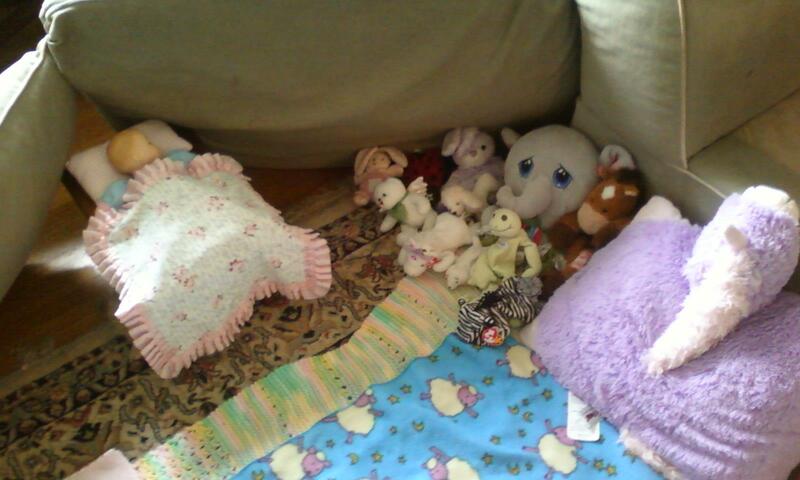 The dolly even has her own bed (on a footstool) with a lovey used as the blankie and a tiny pillow.